When we were planning our honeymoon we had it narrowed down to Maui, Kauai, Cancun, and Costa Rica. Costa Rica got eliminated pretty quickly, even though we both really wanted to go. We just didn’t want to spend 10+ hours flying from Portland to Houston to Costa Rica then to drive hours to get to the coast. Cancun was crossed off because it was the start of hurricane season and not that I was particularly worried about a hurricane, I just didn’t want to travel that far and have it rain every day! So it came down to the two Hawaiian islands. 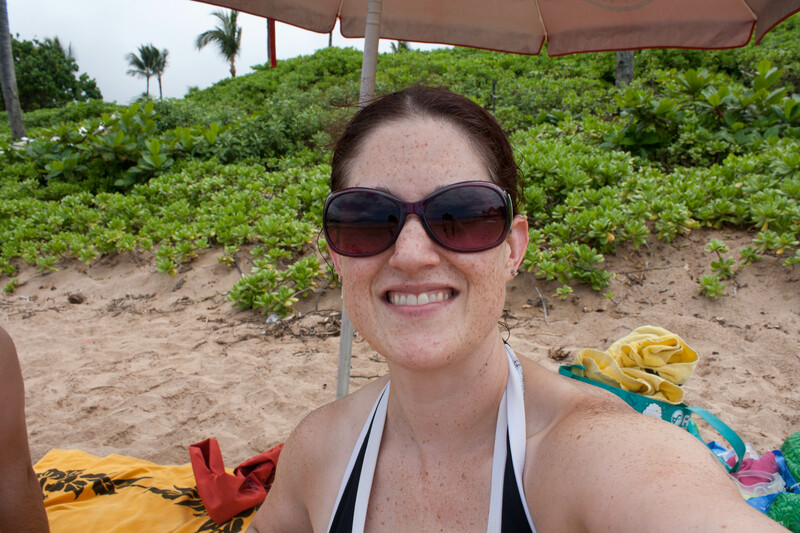 We went to Kona a few years ago and loved it but one of the downsides were the beaches. They were definitely not the postcard perfect, sandy beaches I imagined. There were a few nice beaches we found but they were quite a drive from where we were staying. We found one beach we liked and ended up going back to that one several times because the rest of them were so rocky. 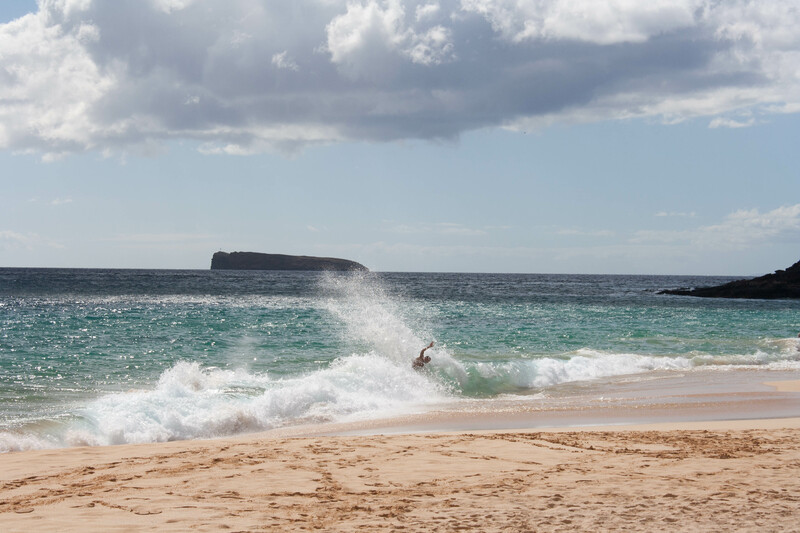 Kauai is my dad’s favorite island and so many people raved about it. But we also heard some not so great stuff about it (i.e. boring, not much to do, not touristy, really windy, etc). It was such a polarizing thing. 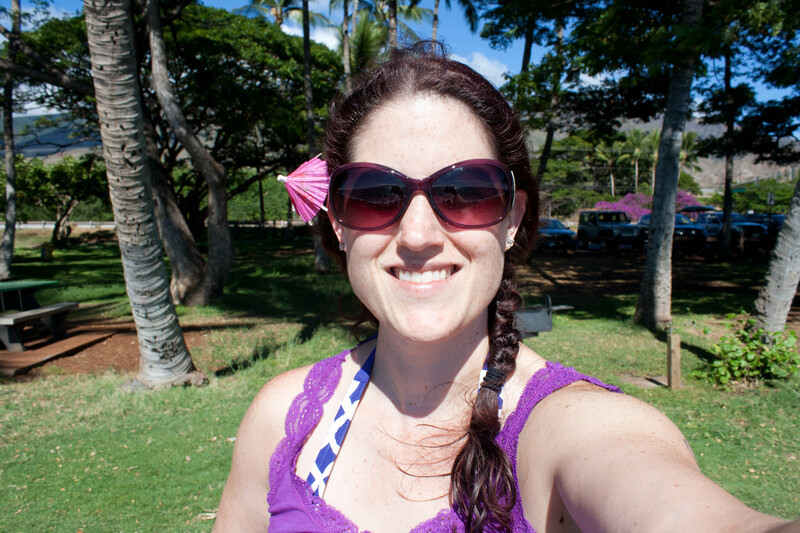 We decided to go to Maui because we KNEW what we were getting–there were no mixed reviews. You were getting perfect beaches and touristy stuff. Okay by us! 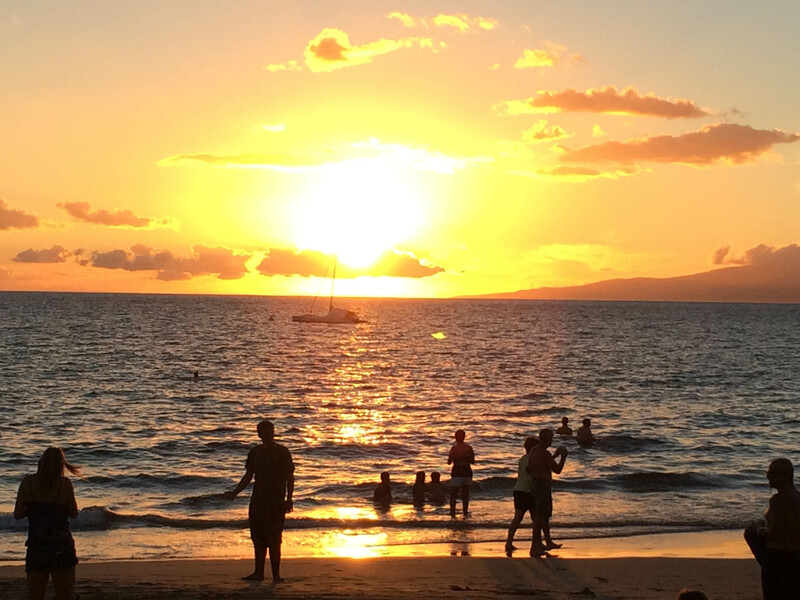 We stayed in a condo in Kihei, south Maui, and I am glad we did. There were so many great beaches near us and we didn’t have to drive an hour to get there. It was easy to go out to the beach, swim, snorkel and then 10 minutes later be back at the condo taking a shower. 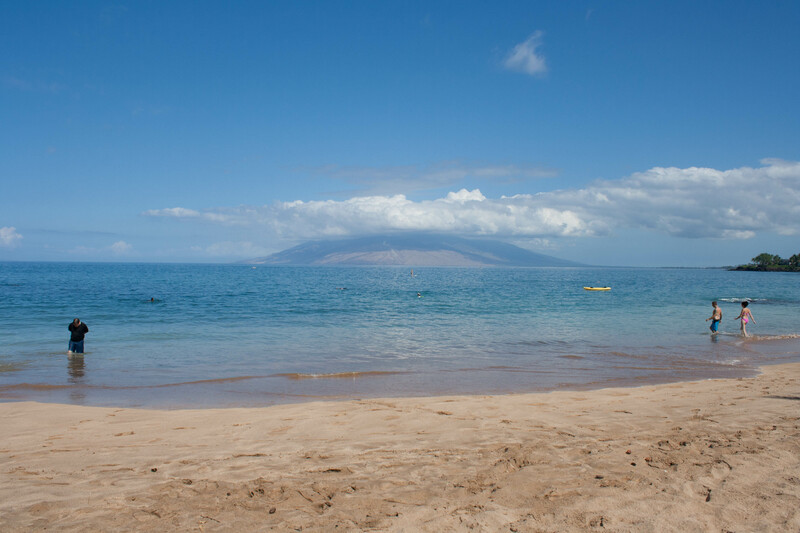 I would definitely stay in Kihei again. It was more relaxed than Lahaina. When we first arrived in Maui Monday afternoon we picked up our rental car, made a stop at Costco and Safeway, grabbed a snack at Da Kitchen, and then went to our condo. It was like 3 in the afternoon by this time and we immediately changed and went to the beach. Our condo came with every beach toy you could want. Great snorkel gear, frisbees and balls, beach mats, beach chairs, boogie boards and umbrellas. Big Beach was beautiful. Picture perfect. Gorgeous white sand that felt like we were walking through softened butter. The parking lot was large and easy to find a space and the walk to the beach was short. The beach was uncrowded and so large that even if it was crowded you wouldn’t be on top of your neighbor. It was a fabulous “time to unwind” beach. Not a fabulous swimming or snorkeling beach. The waves were huge. It could have been the time of day, too, but the waves and shore-break were just too big to attempt swimming and definitely not snorkeling. We just kind of splashed around in the warm water and relaxed on our beach towels in the sunshine. It was also pretty windy. The second day of our trip we went to this beach. It was up near Napili/Kaanapali north of Lahaina. It was in a resort heavy area but the beach wasn’t overly crowded. Maybe on a weekend it is. This was a fabulous beach! There was great swimming and snorkeling and there were two giant sea turtles right at the shore that would pop up out of the water. 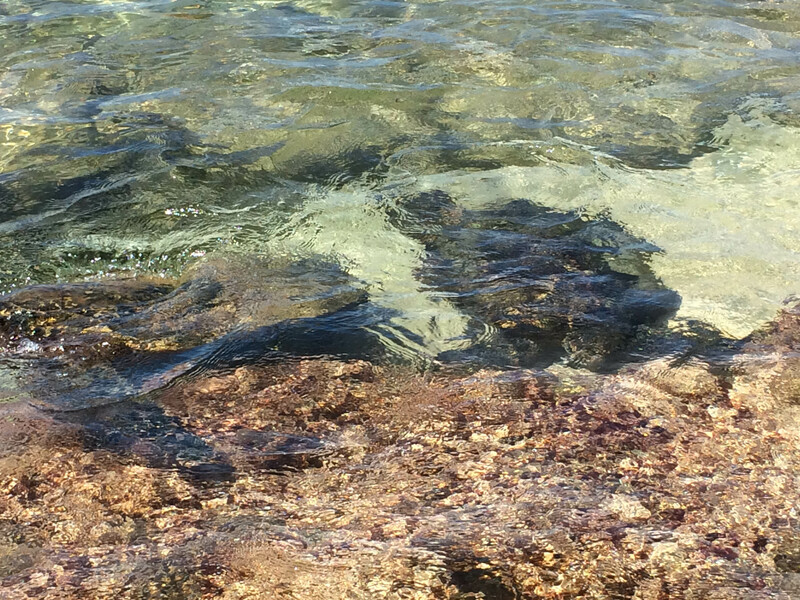 I also saw a few turtles while I was snorkeling around looking at the neon colored fish. It was way cool. The only downside was that it was so far from our condo. 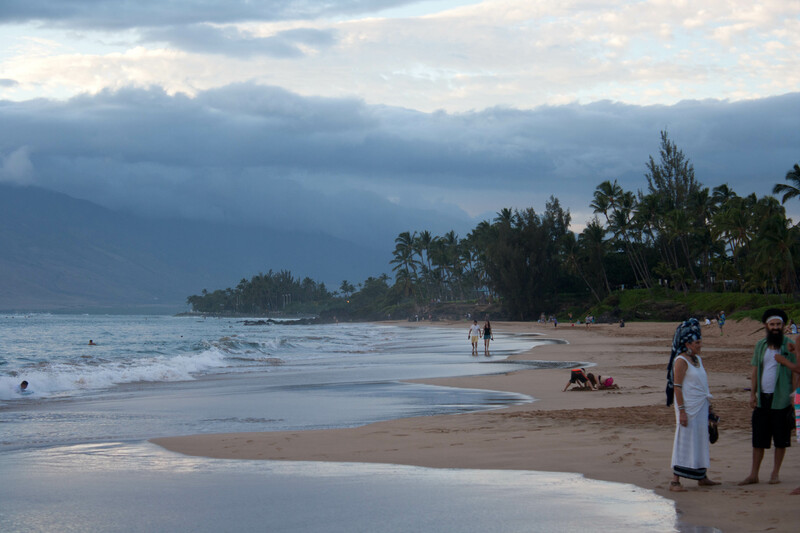 It was about an hour drive from Kihei, where our condo was. 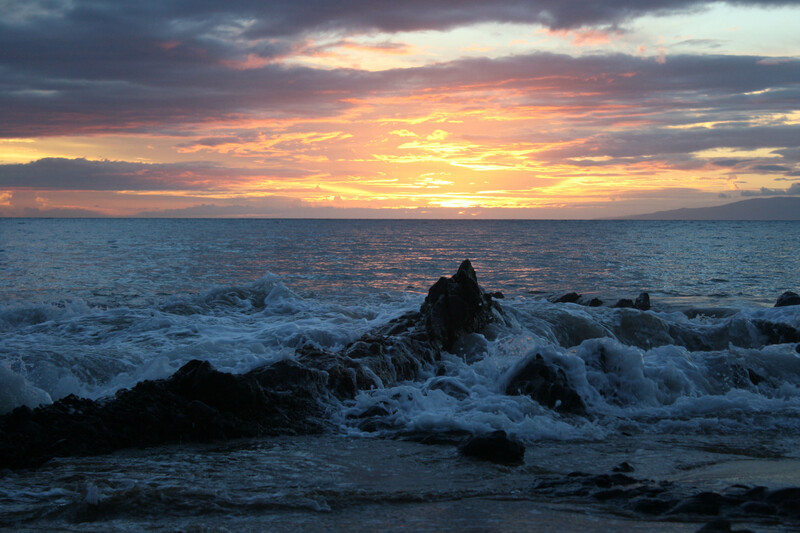 This was a great little hidden beach in Wailea. It had great snorkeling and swimming. We went to this beach twice. 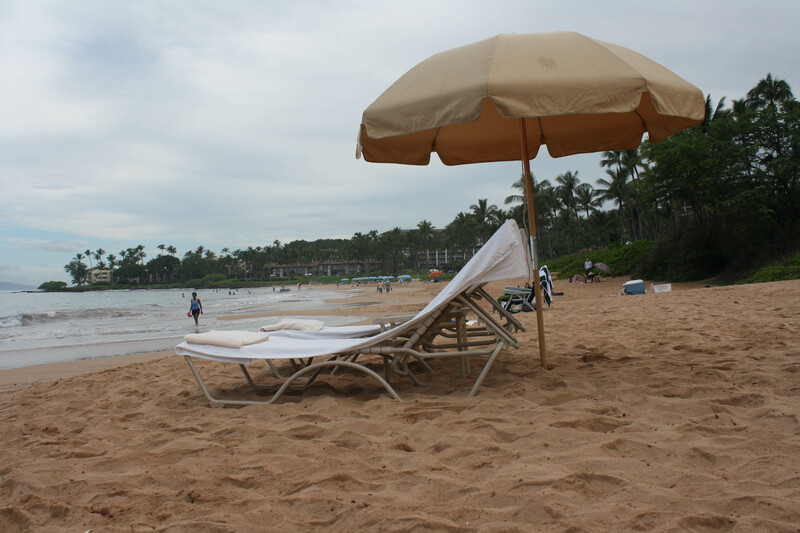 What I loved about Maui was that most of the beaches had great facilities. Bathrooms, several outdoor showers. They were clean and well maintained. A lot of them had lifeguards. They also had good parking options. Some of the bigger ones even had multiple parking lots. We never felt like we couldn’t get a place to park. Ulua Beach had a good lot and we got primo parking twice. Our condo was directly across the street from Kamaole Beach 1. It wasn’t a great beach for swimming or snorkeling. The waves were huge and the water was super murky. However, it was GREAT for boogie boarding and just splashing around. The beach was fairly small and could be crowded. It shrank even more when the tide came in and spots got limited. Mostly we just walked on this beach at sunset. It was perfect for that. Hated this beach! 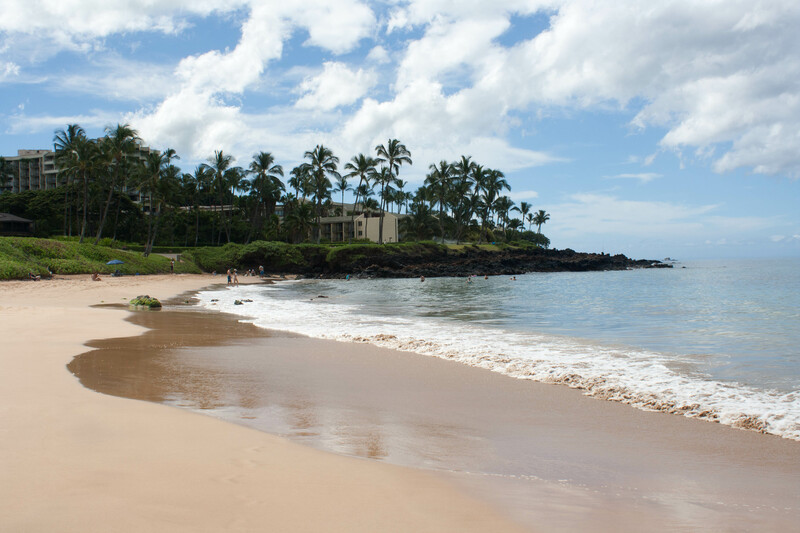 It was tagged as one of the “best beaches in Maui” and I so don’t get it. 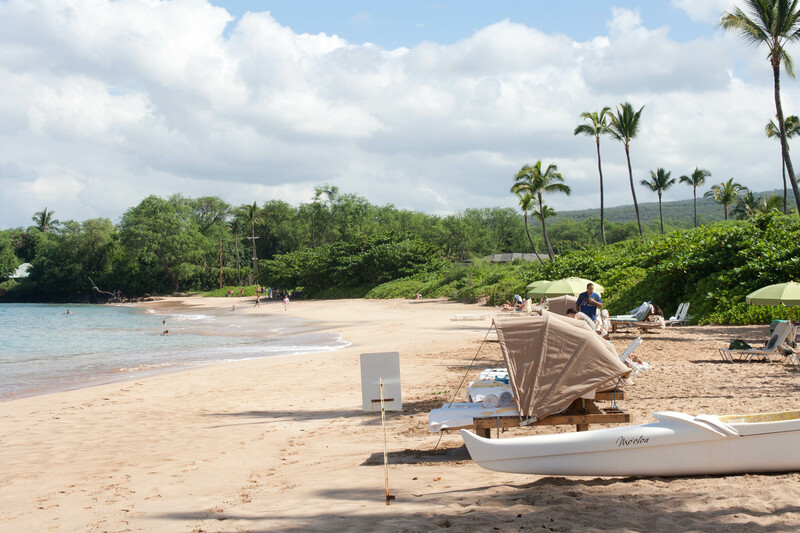 It was in Wailea (fancy resort area south of Kihei) and the beach was in front of the Four Seasons and Grand Wailea Resort (which looked amazing). So why did I hate this beach? Mostly the people. It was a small-ish beach and it was pretty crowded with guests from the Four Seasons. 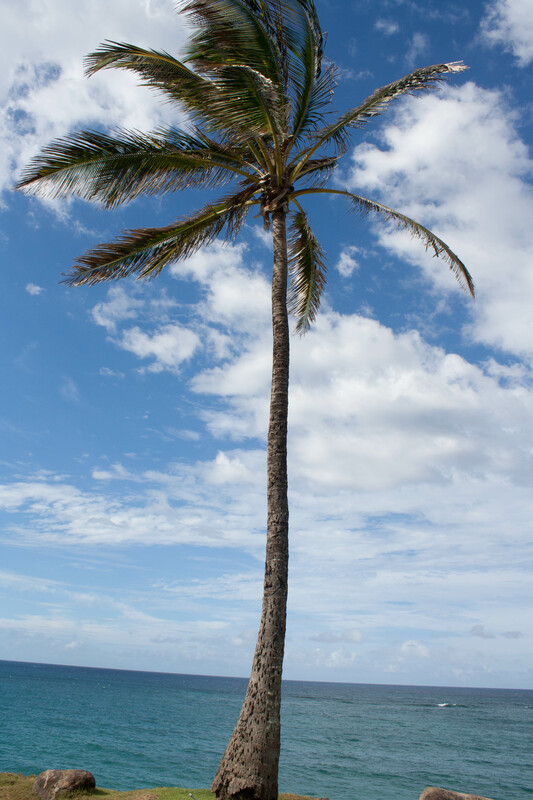 None of the beaches in Maui are private, but it definitely felt like a private beach. The people were just gross. Seriously. There was this woman that was yelling at her nanny on her cell phone who was apparently watching one of her kids up at the pool and she was ignoring her other two little kids playing. Then the wait staff came by where the lounge chairs and umbrellas were set up taking food and drink orders. It was just SO NOT what I wanted. Plus the waves were really big and didn’t look great for swimming or snorkeling plus there were a bunch of gnats flying around that were really gross and annoying. It was the only beach we experienced any of this type of unpleasantness and we didn’t stay long. 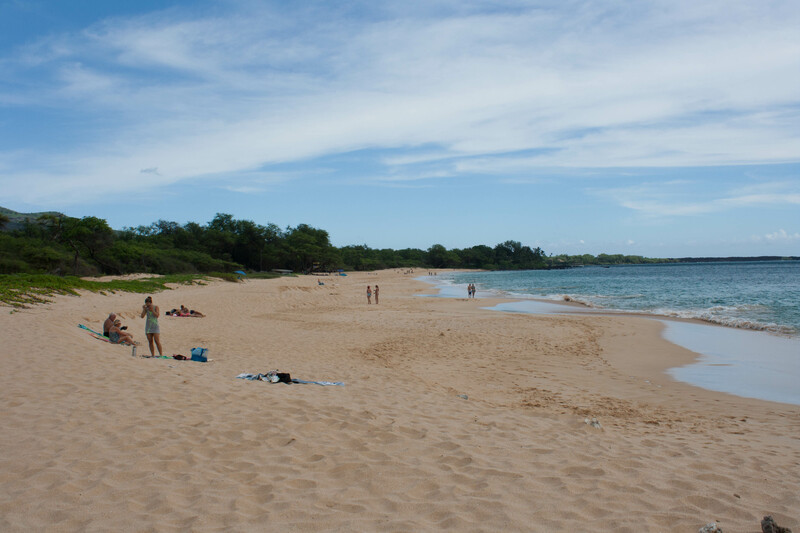 We packed up and back to Ulua Beach 5 minutes away. This was our last beach of the trip! It was one of my favorites. The beach itself was amazing. It was a little difficult to find but once we did, I was glad. 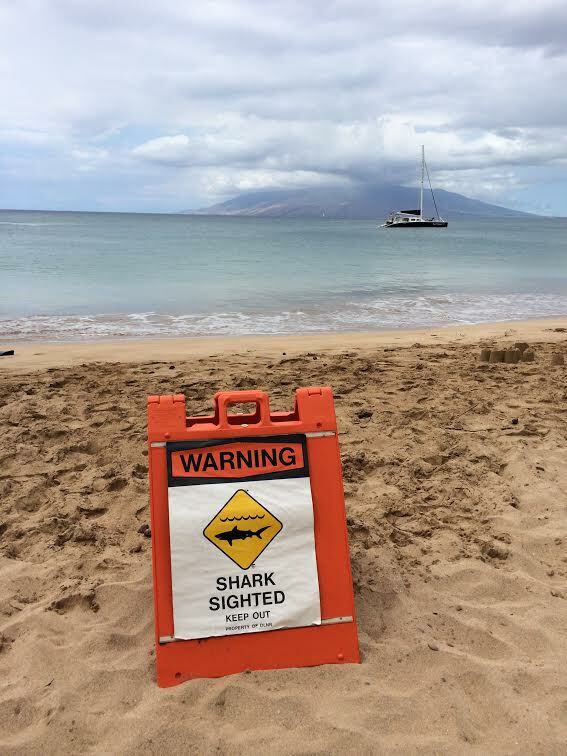 It was in front of the Makena Golf Resort (which is actually where we considered staying before we decided to do a condo instead). The beach was super quiet and chill. It was mildly crowded but never felt crowded. People were chill and respectful and everyone was having fun. We got there around 9am on our last day in Maui and ended up staying until almost 2pm! We loved it and didn’t want to leave. The swimming was fantastic. The water was pretty calm. Later in the day the waves got bigger and it was just fun to jump around and ride the waves. 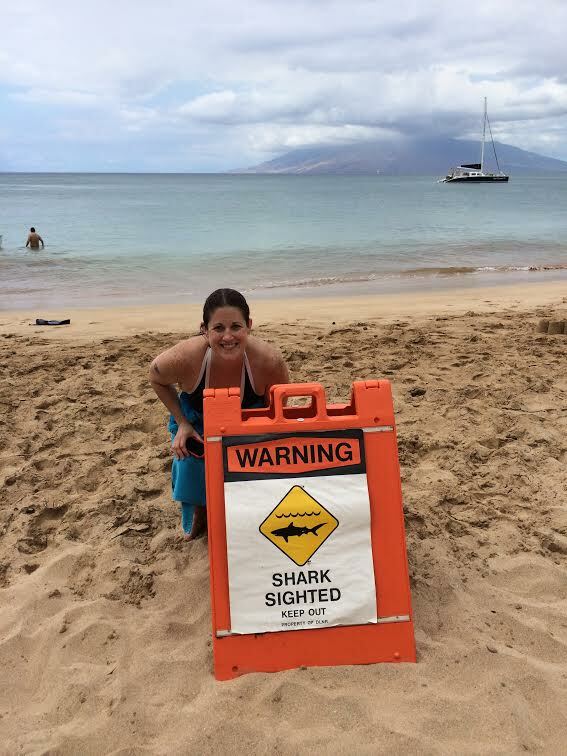 So apparently a shark was sighted RIGHT WHERE I HAD BEEN 5 minutes before. Like for reals. Someone else on the beach said that it was spotted and then someone else said that there was a turtle bitten in half (not sure if I believe that part). A lifeguard was out in the water on a jet ski telling everyone to get out of the water and he was zipping around looking for the shark. I never saw it but…that was kind of freaky. Good thing it was our last day! CRAZY. I hope you can make it. Even for a little bit! I am not really a beachy person, but I wouldn’t mind spending an afternoon at one of these! Hahaha! It’s funny because I have a fear of open water swimming but somehow I was able to get over it in the ocean. What’s up with that?! I love your beach reviews, because am looking for a calm swimming beach…I’m going alone on this trip, so do want some people around just for safety sake. I notice on your last pic that a few people had those yellow umbrellas and chaise loungers. Did you rent them? Or, if not, is there a place there where people can rent them? I’m not sure. It was part of the hotel in front (I think that was the Makena Golf Resort). I’m not sure if non-hotel members can rent a cabana.